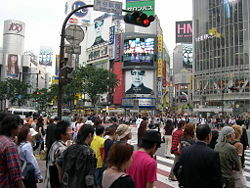 Tokyo, the largest metropolis in the world. A city is an urban area with a high population density and a particular administrative, legal, or historical status. Large industrialized cities generally have advanced systems for sanitation, utilities, land usage, housing, transportation, and more. This close proximity greatly facilitates interaction among people and businesses, benefiting all parties in the process. Historically, cities formed in locations where a number of people were gathered to live together and which could support agriculture to provide food for them as well as offering other benefits such as protection from attack, opportunities for trade, and ease of transportation. As such cities developed, many of the citizens were freed from a subsistence lifestyle focused on obtaining food to pursue other outlets for their creativity such as architecture, art, the search for knowledge through science or philosophy, as well as the development of social structures such as government, education, laws and justice, and an economy. Thus, the growth of such cities supported the development of cultures—the social and spiritual aspects of human life—as well as the satisfaction of external, physical needs. The age of technology and instantaneous communication with the use of the Internet have raised questions about whether living together in close proximity in cities has become obsolete. The problems of cities, such as pollution, overcrowding, crime, slums, and even homelessness are serious disadvantages. For many, urban decay reveals the inherently unnatural lifestyle of industrialized cities, and suggests that a return to more natural living is necessary for human beings to live in harmony with each other and the earth. The information age has given many the freedom to work anywhere, without the necessity of cities. However, cities continue to be valuable, acting as centers of knowledge, services, and cultural activities, suggesting that they may remain a viable option for human societies. There are many possible reasons why people originally decided to come together to form dense populations in cities. Benefits of proximity include reduced transport costs for goods, people, and ideas. A city formed as a central place of trade facilitates interactions of all kinds. These interactions generate both positive and negative externalities among those involved. Benefits include reduced transport costs, exchange of ideas, sharing of natural resources, large local markets, and later in their development, amenities such as running water and sewage disposal. Possible disadvantages or costs include higher rate of crime, higher mortality rates, higher cost of living, worse pollution, more traffic, and longer commuting times. Cities grow when the benefits of proximity between people and businesses are higher than the costs. In his book, City Economics, Brendan O’Flaherty asserted that “Cities could persist—as they have for thousands of years—only if their advantages offset the disadvantages." He used two similar attracting advantages, concepts normally associated in economics with businesses, to illustrate this point. These concepts are known as increasing returns to scale and economies of scale. As an example, O’Flaherty used “one of the oldest reasons why cities were built: military protection.” In this example, the inputs are anything that would be used for protection (say, a wall) and the output is the area protected and everything of value contained in it. Assuming that the area to be protected is square and all areas inside it have the same value of protection, then increasing returns to scale occur because “doubling all inputs more than doubles the output" and economies of scale occur since "doubling output less than doubles cost.” He concluded that: "Cities, then, economize on protection, and so protection against marauding barbarian armies is one reason why people have come together to live in cities." In her book, The Economy of Cities, Jane Jacobs made the controversial claim that city-formation preceded the birth of agriculture. This challenges the widely accepted view that the development of agriculture was crucial to the development of cities. Jacobs does not lend her theory to any strict definition of a city, but her account suggestively contrasts what could only be thought of as primitive city-like activity to the activity occurring in neighboring hunter-gatherer settlements. 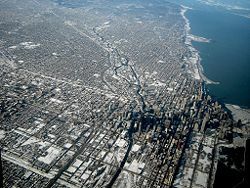 An aerial view of the city of Chicago. The difference between "towns" and "cities" is variously understood in different parts of the world. Indeed, languages other than English often use a single word for both concepts (French ville, German Stadt, Swedish stad, and so forth). Even within the English-speaking world there is no one standard definition of a city: The term may be used either for a town possessing city status; for an urban locality exceeding an arbitrary population size; for a town dominating other towns with particular regional economic or administrative significance. Further, the word "town" (particularly "downtown") may mean the center of the city. One characteristic that can be used to distinguish a small city from a large town is organized government. A town accomplishes common goals through informal agreements between neighbors or the leadership of a chief. A city has professional administrators, regulations, and some form of taxation (food and other necessities or means to trade for them) to feed the government workers. The governments may be based on heredity, religion, military power, work projects (such as canal building), food distribution, land ownership, agriculture, commerce, manufacturing, finance, or a combination of those. Societies that live in cities are often called civilizations. A city can also be defined as an absence of physical space between people and businesses. A large city, or metropolis, may have suburbs. Such cities are usually associated with metropolitan areas and urban sprawl, creating large numbers of business commuters. Once a city sprawls far enough to reach another city, this region can be deemed a conurbation or megalopolis. Although "city" can refer to an agglomeration including suburban and satellite areas, the term is not usually applied to a conurbation (cluster) of distinct urban places, nor for a wider metropolitan area including more than one city, each acting as a focus for parts of the area. Towns and cities have a long history, although opinions vary on whether any particular ancient settlement can be considered a city. Size and density of the population should be above normal. Differentiation of the population. Not all residents grow their own food, leading to specialists and division of labor. Payment of taxes to a deity or king. Those not producing their own food are supported by the king. Systems of recording and practical science. Trade and import of raw materials. Specialist craftsmen from outside the kin-group. This categorization is descriptive, and not all ancients cities fit into this well, but it is used as a general touchstone. Mohenjo-daro of the Indus Valley Civilization in present-day Pakistan. Early cities developed in a number of regions of the ancient world. Mesopotamia can claim the earliest cities, particularly Eridu, Uruk, and Ur. The Indus Valley Civilization and China are two other areas of the Old World with major indigenous urban traditions. 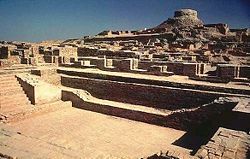 Among the early Old World cities, Mohenjo-daro of the Indus Valley Civilization in present-day Pakistan was one of the largest, with an estimated population of 40,000 or more. Mohenjo-daro and Harappa, the large Indus capitals, were among the first cities to use grid plans, drainage, flush toilets, urban sanitation systems, and sewage systems. At a somewhat later time, a distinctive urban tradition developed in the Khmer region of Cambodia, where Angkor grew into one of the largest cities (in area) the world has ever seen. 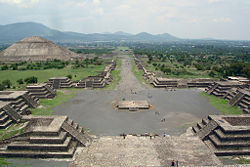 Teotihuacán: View of the "Avenue of the Dead" with the Pyramid of the Sun on the left. In the ancient Americas, early urban traditions developed in Mesoamerica and the Andes. Mesoamerica saw the rise of early urbanization in several cultural regions, including the Maya, the Zapotec of Oaxaca, and in central Mexico, Teotihuacan, the largest pre-Columbian city in the Americas in the first half of the first millennium C.E. with a population estimated at 125,000–250,000. Later cultures such as the Aztec drew on these earlier urban traditions. In the Andes, the first urban centers developed in the Chavin and Moche cultures, followed by major cities in the Huari, Chimu, and Inca cultures. The roster of early urban traditions is notable for its diversity. Excavations at early urban sites show that some cities were sparsely populated political capitals, others were trade centers, and still other cities had a primarily religious focus. Some cities had large dense populations whereas others carried out urban activities in the realms of politics or religion without having large associated populations. The growth of the population of ancient civilizations, the formation of ancient empires concentrating political power, and the growth in commerce and manufacturing led to ever greater capital cities and centers of commerce and industry, with Alexandria, Antioch, and Seleucia of the Hellenistic civilization, Pataliputra (now Patna) in India, Chang'an (now Xi'an) in China, Carthage, ancient Rome, its eastern successor Constantinople (later Istanbul), and successive Chinese, Indian, and Muslim capitals approaching or exceeding the half-million population level. The Roman Forum was the central area around which ancient Rome developed, and served as a hub for daily Roman life. Ancient Rome is estimated to have had a population of about a million people by the end of the first century B.C.E., after growing continually during the third, second, and first centuries B.C.E. Alexandria's population was also close to Rome's population at around the same time: The historian Rostovtzeff estimated a total population close to a million based on a census dated from 32 C.E. that counted 180,000 adult male citizens in Alexandria. Similar administrative, commercial, industrial, and ceremonial centers emerged in other areas, most notably medieval Baghdad, which according to George Modelski, later became the first city to exceed a population of one million by the eighth century. Other estimates suggest that Baghdad's population may have been as large as two million in the ninth century. Agriculture was practiced in Sub-Saharan Africa from the third millennium B.C.E. Because of this, cities were able to develop as centers of non-agricultural activity. Archeological evidence indicates that urbanization occurred south of the Sahara well before the influence of Arab urban culture. The oldest sites documented thus far are from around 500 C.E., including Awdaghust, Kumbi-Saleh the ancient capital of Ghana, and Maranda a center located on a trade route between Egypt and Gao. During the European Middle Ages, a town was as much a political entity as a collection of houses. City residence brought freedom from customary rural obligations to lord and community: Stadtluft macht frei ("City air makes you free") was a saying in Germany. In Continental Europe cities with a legislature of their own were not unheard of. 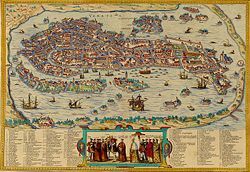 In cases like Venice, Genoa, or Lübeck, cities themselves became powerful city-states, sometimes taking surrounding areas under their control or establishing extensive maritime empires. Similar phenomena existed elsewhere, as in the case of Sakai, which enjoyed a considerable autonomy in late medieval Japan. While the city-states, or poleis, of the Mediterranean and Baltic Sea languished from the sixteenth century, Europe's larger capitals benefited from the growth of commerce following the emergence of Atlantic trade. By the late-eighteenth century, London had become the largest city in the world with a population of over a million, while Paris rivaled the well-developed, regionally traditional capital cities of Baghdad, Beijing, Istanbul, and Kyoto. During the Spanish colonization of the Americas the old Roman city concept was extensively used. Cities were founded in the middle of the newly conquered territories, and were bound to several laws about administration, finances, and urbanization. Most towns remained far-smaller places, so that in 1500 only some two dozen locations in the world contained more than 100,000 inhabitants: As late as 1700 there were fewer than 40, a figure which would rise thereafter to 300 by 1900. A small city of the early modern period might contain as few as 10,000 inhabitants, a town far fewer. The growth of modern industry from the late-eighteenth century onward led to massive urbanization and the rise of new great cities, first in Europe and then in other regions, as new opportunities brought huge numbers of migrants from rural communities into urban areas. In the United States from 1860 to 1910, the invention of railroads reduced transportation costs, and large manufacturing centers began to emerge, thus allowing migration from rural to city areas. However, cities during those periods of time were unhealthy places in which to live, due to problems resulting from contaminated water and air, as well as communicable diseases. In the Great Depression of the 1930s, cities were hard hit by unemployment, especially those with a base in heavy industry. In the U.S. urbanization rate increased 40 to 80 percent during 1900-1990. By the beginning of the twenty-first century, the world's population was slightly over half urban, with millions still streaming annually into the growing cities of Asia, Africa, and Latin America. There was also a shift to suburbs, perhaps to avoid crime and traffic, which are costs associated with living in an urban area. Modern global cities, like New York City, often include large, central-business districts that serve as hubs for economic activity. 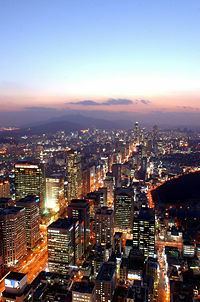 Seoul is an example of a beta world city. A global city (also called "world city") is a city deemed to be a prominent center of trade, banking, finance, innovations, and markets. The concept rests on the idea that globalization can be understood as largely created, facilitated, and enacted in strategic geographic locales. The most complex of these entities is the "global city," whereby the linkages binding a city have a direct and tangible effect on global affairs through socio-economic means. The terminology of "global city," as opposed to megacity, is thought to have been first coined by Saskia Sassen in reference to London, New York City, and Tokyo. The term "world city" to describe cities which control a disproportionate amount of global business dates to at least Patrick Geddes' use of the term in 1915. Global cities, according to Sassen, have more in common with each other than with other cities in their host nations. Examples of such cities include London, New York City, Paris, and Tokyo. The notion of global cities is rooted in the concentration of power and capabilities within all cities. The city is seen as a container where skills and resources are concentrated: The better able a city is to concentrate its skills and resources, the more successful and powerful the city and the more it can influence what is happening around the world. Following this view of cities, it is possible to rank the world's cities hierarchically. The highest ranking of global cities is the "alpha ranking," to which London, New York, Paris, and Tokyo belong. Other "alpha" world cities include Singapore, Chicago, Los Angeles, Frankfurt, Milan, and Hong Kong. San Francisco, Sydney, Toronto, Mexico City, Zürich, Madrid, Sao Paulo, Brussels, Moscow, and Seoul are classified as "Beta World Cities." Hamburg is considered a gamma world city. A third tier containing Barcelona, Antwerp, Taipei, Kuala Lumpur, Lisbon, Osaka, Buenos Aires, Melbourne, Montreal, Manila, Rome, Washington, D.C., Berlin, and Santiago, among others, forms the "Gamma world cities." Critics of this classification point to the different realms of power. The criteria for "global cities" are heavily influenced by economic factors and, thus, may not account for places that are otherwise significant. For example, cities like Rome, Delhi, Mumbai, Istanbul, Mecca, Mashhad, Karbala, Karachi, Lahore, Jerusalem, and Lisbon are powerful in religious and historical terms, but would not be considered "global cities." 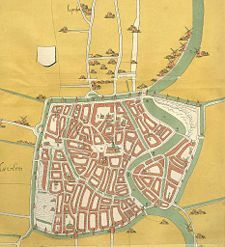 As an alternative notion, Rosabeth Moss Kanter argued that successful cities can be identified by three elements: Good thinkers (concepts), good makers (competence), or good traders (connections). The interplay of these three elements means that good cities are not planned but managed. In the United States, United Kingdom, and Ireland, the term "inner city"—the central area of a major city or metropolis—is often used with the connotation of being a poorer part of the city center, such as a ghetto or a slum, where residents are less educated and less wealthy and where there is more crime. These connotations are less common in other Western countries, as deprived areas are located in varying parts of other Western cities. For instance, in Paris, Rome, Vienna, Melbourne, Sydney, or Amsterdam, the inner city is the most prosperous part of the metropolis, where housing is the most expensive, and where elites and high-income individuals dwell. Poverty and crime are more associated with the distant suburbs. The French word for "suburb" (banlieue) often has a negative connotation. In the developing world, economic modernization brings poor newcomers from the countryside to build haphazardly at the edge of current settlement, resulting in favelas or shanty towns. Regardless of their degree of prosperity, city areas that are literally more central tend to have higher population densities than outer suburbs, with more of the population living inside multi-floored townhouses and apartments. Modern urban planning has seen many different schemes for cities. The central diamond within a walled city with four gates was thought to be a good design for defense. The most commonly seen pattern is the grid, favored by the Romans and used for thousands of years in China. The Ancient Greeks often gave their colonies around the Mediterranean a grid plan. One of the best examples is the city of Priene. This city even had its different districts, much like modern city-planning today. Fifteen centuries earlier the Indus Valley Civilization was using grids in such cities as Mohenjo-Daro. The grid pattern was widely copied in the colonies of British North America. Such plans were typical in the American West, in places such as Salt Lake City and San Francisco. Also in Medieval times there was a preference for linear planning. Good examples are the cities established in the south of France by various rulers and city expansions in old Dutch and Flemish cities. Other forms include a radial structure in which main roads converge on a central point, often the effect of successive growth over long time with concentric traces of town walls and citadels—recently supplemented by ring-roads that take traffic around the edge of a town. Many Dutch cities are structured this way: A central square surrounded by concentric canals. Every city expansion would imply a new circle (canals and town walls). In cities like Amsterdam and Haarlem, and elsewhere, such as in Moscow, this pattern is still clearly visible. Modern cities are known for creating their own microclimates. This is due to the large clustering of heat-absorbent surfaces that heat up in sunlight and that channel rainwater into underground ducts. The close physical proximity facilitates knowledge spillovers, helping people and businesses exchange information and generate new ideas. A broader labor market allows for better skill-matching between firms and individuals. Another positive external effect of cities comes from the diverse social opportunities created when people of different backgrounds are brought together. Larger cities typically offer a wider variety of social interests and activities for people of all backgrounds. Cities may also have a positive influence on the environment. UN Habitat stated in its reports that city living can be the best solution for dealing with the rising population numbers (and thus still be a good approach on dealing with overpopulation). This is because cities concentrate human activity into one place, making the environmental damage on other places smaller. The high concentration of people also makes using automobiles inconvenient and pedestrian traffic is more prominent in metropolitan areas than a rural or suburban one. Such positive influences, however, depend on proper maintenance of city services and good urban planning. The gathering together of large numbers of people in close proximity, together with industry, leads to numerous physical and social issues. Waste and sewage are two major problems for cities, as is air pollution coming from various forms of combustion, including fireplaces, wood or coal-burning stoves, other heating systems, and internal-combustion engines. The impact of cities on places elsewhere, be it hinterlands or places far away, is considered in the notion of city footprinting ("ecological footprint"). Other negative external effects include health consequences such as communicable diseases. Cities cause more interaction with more people than rural areas, thus a higher probability to contracting contagious diseases. However, many inventions such as inoculations, vaccines, and water-filtration systems have also lowered health concerns. Crime is also a serious concern in cities. Studies have shown that crime rates in urban areas, both large and small urban, are higher than suburban and rural areas. In cases such as burglary, the higher concentration of people in cities creates more items of higher value worth the risk of crime. Severe haze affecting Ampang, Kuala Lumpur, Malaysia in August 2005. Pollution is the introduction of contaminants into an environment that causes instability, disorder, harm, or discomfort to the ecosystem, which involves all living organisms including human beings. Pollution can take the form of chemical substances, or energy, such as noise, heat, or light energy. It was the industrial revolution that gave birth to environmental pollution as we know it today. The emergence of great factories and consumption of immense quantities of coal and other fossil fuels gave rise to unprecedented air pollution and the large volume of industrial chemical discharges added to the growing load of untreated human waste. Adverse air quality can kill many organisms including humans. Ozone pollution can cause respiratory disease, cardiovascular disease, throat inflammation, chest pain, and congestion. In cities, motor-vehicle emissions are one of the leading causes of air pollution, the release of chemicals and particulates into the atmosphere. Common gaseous air pollutants include carbon monoxide, sulfur dioxide, chlorofluorocarbons (CFCs), and nitrogen oxides produced by industry and motor vehicles. Photochemical ozone and smog are created as nitrogen oxides and hydrocarbons react to sunlight. Principal stationary-pollution sources include chemical plants, coal-fired power plants, oil refineries, petrochemical plants, nuclear-waste disposal activity, incinerators, PVC factories, metals-production factories, plastics factories, and other heavy industry. Water pollution results from the release of waste products and contaminants into surface runoff into river drainage systems, leaching into groundwater, liquid spills, wastewater discharges, eutrophication, and littering. It causes approximately 14,000 deaths per day, mostly due to contamination of drinking water by untreated sewage in developing countries. Noise pollution, which encompasses roadway noise, aircraft noise, industrial noise, as well as high-intensity sonar, induces hearing loss, high blood pressure, stress, and sleep disturbance. Jews using a wooden bridge to cross from one section of the Lódz Ghetto to the other. Entering the non-ghetto thoroughfare was forbidden to Jews. A ghetto is an area where people from a specific ethnic background, culture, or religion live in seclusion, voluntarily or more commonly involuntarily with varying degrees of enforcement by the dominant social group. The first ghettos were established to confine Jewish populations in Europe. They were surrounded by walls, segregating and so-called "protecting" them from the rest of society. In the Nazi era these ghettos served to confine and subsequently exterminate Jews in massive numbers. Today, the term ghetto is used to describe a blighted area of a city containing a concentrated and segregated population of a disliked minority group. These concentrations of population may be planned, as through government-sponsored housing projects, or the unplanned result of self-segregation and migration. Often municipalities build highways and set up industrial districts around the ghetto to further isolate it from the rest of the city. Homelessness is the condition and social category of people who lack housing, because they cannot afford, or are otherwise unable to maintain, regular, safe, and adequate shelter. Homelessness has existed as a serious problem since urbanization and industrialization. In most countries, many towns and cities have had an area which contained the poor, transients, and afflicted, such as a "skid row." In New York City, for example, there was an area known as "the Bowery," where alcoholics were to be found sleeping on the streets, bottle in hand. 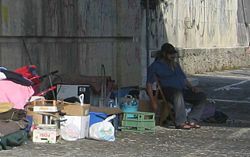 Modern homelessness started as a result of the economic stresses in society, reduction in the availability of affordable housing, such as single room occupancy (SRO), for poorer people. In the United States the deinstitutionalization of patients from state psychiatric hospitals was a precipitating factor which seeded the homeless population, especially in urban areas such as New York City. 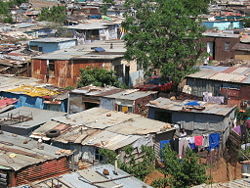 A shanty town in Soweto, South Africa. Shanty towns (also called squatter-settlement camps, or favelas), are settlements (sometimes illegal or unauthorized) of impoverished people who live in improvised dwellings made from scrap plywood, corrugated metal, and sheets of plastic. Shanty towns, which are usually built on the periphery of cities, often do not have proper sanitation, electricity, or telephone services. Shanty towns are mostly found in developing nations, or partially developed nations with an unequal distribution of wealth (or, on occasion, developed countries in a severe recession). In extreme cases, shanty towns have populations approaching that of a city. Urban decay, South Bronx, New York City, 1980. Urban decay is a process by which a city, or a part of a city, falls into a state of disrepair. It is characterized by depopulation, economic restructuring, property abandonment, high unemployment, fragmented families, political disenfranchisement, crime, and desolate and unfriendly urban landscapes. The effects of urban decay run counter to the development patterns found in most cities in Europe and countries outside of North America, where slums are usually located on the outskirts of major metropolitan areas while the city center and inner city retain high real-estate values and a steady or increasing population. In contrast, North American cities often experienced an outflux of population to city suburbs or exurbs, as in the case of white flight. This trend has started to reverse in some cities, where affluent parts of the population have moved back into erstwhile blighted areas. There is no single cause of urban decay, though it may be triggered by a combination of interrelated factors, including urban planning decisions, poverty, the development of freeways and railway lines, suburbanization, redlining, immigration restrictions, and racial discrimination. 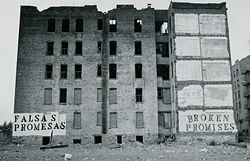 1999 photograph looking northeast on Chicago's now demolished Cabrini-Green housing project, one of many urban renewal efforts. "Urban renewal" (also known as "urban regeneration") is a process that attempts to combat the problems of urban decay that have faced numerous cities. Urban renewal goes back to the work of Robert Moses in the redevelopment of New York City and New York State from the 1930s into the 1970s. Moses directed the construction of new bridges, highways, housing projects, and public parks. He was a controversial figure, both for his single-minded zeal and for the impact of his ideas, both positive and negative, on New York City. He changed shorelines, built roadways in the sky, and transformed neighborhoods forever. His decisions favoring highways over public transit helped create the modern suburbs of Long Island. His critics claim that he preferred automobiles to people, that he displaced hundreds of thousands of residents in New York City, uprooted traditional neighborhoods by building expressways through them, contributed to the ruin of the South Bronx and the amusement parks of Coney Island, caused the departure of the Brooklyn Dodgers and the New York Giants Major League baseball teams, and precipitated the decline of public transport through disinvestment and neglect. On the positive side, Moses' projects were considered by many to be necessary for the region's development after being hit hard by the Great Depression. His supporters believe he made the city viable for the twenty-first century by building an infrastructure that most people wanted and that has endured. Similar efforts have taken place in cities around the world, including: Beijing, China; Melbourne, Australia; Glasgow, Scotland; Boston, Massachusetts and San Francisco, California in the U.S.; Warsaw, Poland; and Bilbao, Spain. Commonly cited examples include Canary Wharf, in London, and Cardiff in Wales. 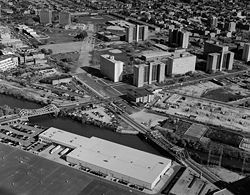 Urban renewal never lived up to the hopes of its original proponents and has been hotly debated by politicians, urban planners, civic leaders, and current and former residents of the areas where urban renewal took place in the 1950s, 1960s, and 1970s. It has brought economic and cultural development to many cities, but often at a great cost to low-income and minority communities living in them. It has also played a role in the economic devastation faced by many of the major industrial cities in the United States since the 1940s. Urban renewal continues to evolve as successes and failures are examined and new models of development and redevelopment are tested and implemented. 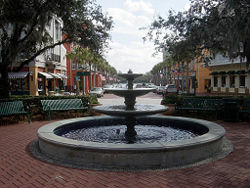 Market Street, downtown Celebration, Florida. In contrast to urban renewal, the United States, in particular, has a culture of anti-urbanism that dates back to colonial times. The American City Beautiful architecture movement of the late 1800s was a reaction to perceived urban decay and sought to provide stately civic buildings and boulevards to inspire civic pride in the motley residents of the urban core. Modern anti-urban attitudes are to be found in America in the form of an urban planning profession that continues to develop land on a low-density suburban basis, where access to amenities, work, and shopping is provided almost exclusively by car rather than on foot. However, there is also a movement in North America called "New Urbanism" that calls for a return to traditional, city-planning methods where mixed-use zoning allows people to walk from one type of land-use to another. The idea is that housing, shopping, office space, and leisure facilities are all provided within walking distance of each other, thus reducing the demand for road-space and also improving the efficiency and effectiveness of mass transit. In the twenty-first century with advent of the Information age, coupled with manufacturing by and large relocating to suburban or rural sites (taking advantage of lower land costs and more efficient transportation), cities have shifted from centers of production of physical goods to acting as centers of knowledge. Thus, although in some ways technological advances make proximity unnecessary for a number of activities, cities are still valuable as centers of services, including cultural activities. ↑ Edward L. Glaeser, "Are Cities Dying," The Journal of Economic Perspectives: A Journal of the American Economic Association 12(2) (1998): 139. ↑ 2.0 2.1 Brendan O'Flaherty, City Economics (Cambridge, MA: Harvard University Press, 2005, ISBN 0674019180). ↑ Jane Jacobs, The Economy of Cities (London: Cape, 1970, ISBN 978-0224618267). ↑ V. Gordon Childe, "The Urban Revolution," Town Planning Review 21(1) (April 1950): 3–19. ↑ Jonathan Mark Kenoyer, Ancient Cities of the Indus Valley Civilization (New York, NY: Oxford University Press, 1998, ISBN 0195779401). ↑ Keith Hopkins, On The Political Economy of the Roman Empire, Social Science History Institute, Stanford University, 2000. Retrieved February 23, 2009. ↑ Michael Ivanovitch Rostovtzeff, The Social and Economic History of the Hellenistic World (Vols 1-3) (New York, NY: Oxford University Press, 1986) 1138-1139. ↑ George Modelski, World Cities: –3000 to 2000 (Washington, DC: FAROS2000, 2003, ISBN 0967623014). ↑ Trudy Ring, Middle East and Africa: International Dictionary of Historic Places (Routledge, 1996, ISBN 1884964036), 116. ↑ Catherine Coquery-Vidrovitch, The History Of African Cities South Of The Sahara (Princeton, NJ: Markus Wiener Publishers, 2005, ISBN 1558763031). ↑ Saskia Sassen, "The global city: strategic site/new frontier," Seminar 503 (July 2001). Retrieved February 23, 2009. ↑ Saskia Sassen, The Global City: New York, London, Tokyo (Princeton, NJ: Princeton University Press, 2001, ISBN 0691070636). ↑ M. Doel and P. Hubbard, "Taking World Cities Literally: Marketing the City in a Global Space of flows," City 6(3) (2002): 351-368. ↑ John Friedmann and Goetz Wolff, "World City Formation: An Agenda for Research and Action," International Journal of Urban and Regional Research 6(3) (1982): 319. ↑ Rosabeth Moss Kanter, World Class (New York, NY: Touchstone, 1995, ISBN 0684825228). ↑ Gerald A. Carlino, "Knowledge Spillovers: Cities’ Role in the New Economy," Business Review Q4 (2001): 17-26. Retrieved February 23, 2009. ↑ BBC News, One in two "will live in cities." Retrieved February 23, 2009. ↑ UN Habitat, UN-HABITAT urges greater economic role for African cities, May 18, 2004. Retrieved February 23, 2009. ↑ Joycelyn Francisco and Christian Chénier, “A Comparison of Large Urban, Small Urban and Rural Crime Rates, 2005,” Statistics Canada, November 27, 2008. Retrieved February 23, 2009. ↑ U. S. Department of Justice, Urban, Suburban, and Rural Victimization, 1993-98, Bureau of Justice Statistics, October 18, 2000. Retrieved February 23, 2009. ↑ D. J. Scherl and L. B. Macht, "Deinstitutionalization in the absence of consensus," Hospital and Community Psychiatry 9 (Sept. 30, 1979): 599-6040, PubMed. Retrieved February 23, 2009. Bairoch, Paul. Cities and Economic Development: From the Dawn of History to the Present. Chicago, IL: University of Chicago Press, 1988. ISBN 978-0226034652. Coquery-Vidrovitch, Catherine. The History Of African Cities South Of The Sahara. Markus Wiener Publishers, 2005. ISBN 1558763031. Jacobs, Jane. The Economy of Cities. London: Cape, 1970. ISBN 978-0224618267. Kenoyer, Jonathan Mark. Ancient Cities of the Indus Valley Civilization. New York, NY:Oxford University Press, 1998. ISBN 0195779401. Modelski, George. World Cities: –3000 to 2000. Washington, DC: FAROS2000, 2003. ISBN 0967623014. Monti, Daniel J., Jr. The American City: A Social and Cultural History. Malden, MA: Blackwell Publishers, 1999. ISBN 978-1557869180. O'Flaherty, Brendan. City Economics. Cambridge, MA: Harvard University Press, 2005. ISBN 978-0674019188. Pacione, Michael. The City: Critical Concepts in the Social Sciences. New York, NY: Routledge, 2001. ISBN 978-0415252709. Rostovtzeff, Michael Ivanovitch. The Social and Economic History of the Hellenistic World (Vols 1-3). New York, NY: Oxford University Press, 1986. ISBN 0198142307. This page was last modified on 23 February 2017, at 17:19.